Happy BJJ day, bring a buddy to class! 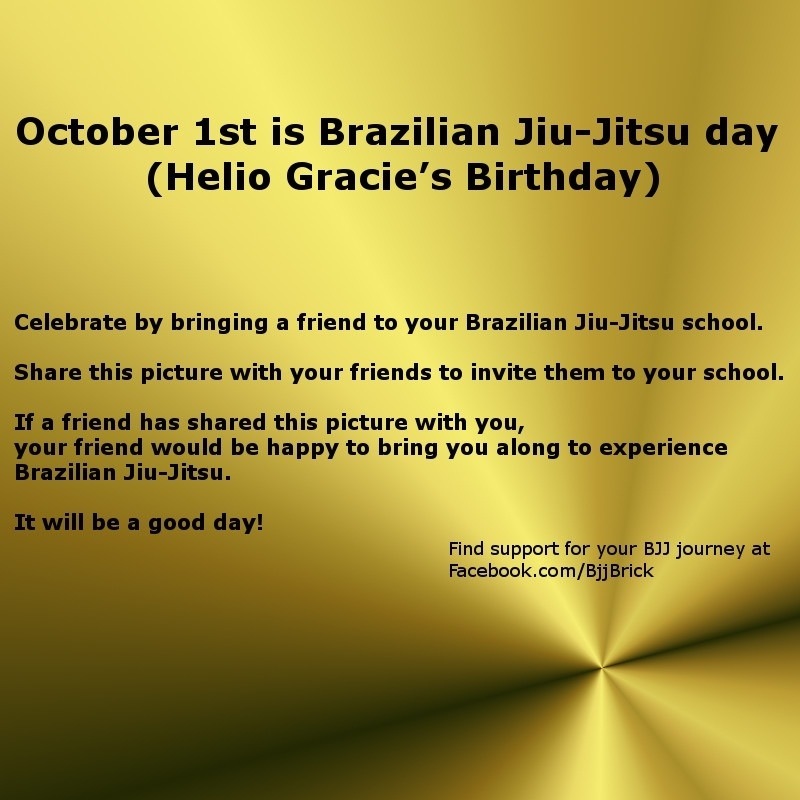 This entry was posted in BJJ Culture, Picture and tagged bjj birthday, BJJ day, Brazilian Jiu-jitsu, Celebrate bjj, Helio gracie by byronjabara. Bookmark the permalink.